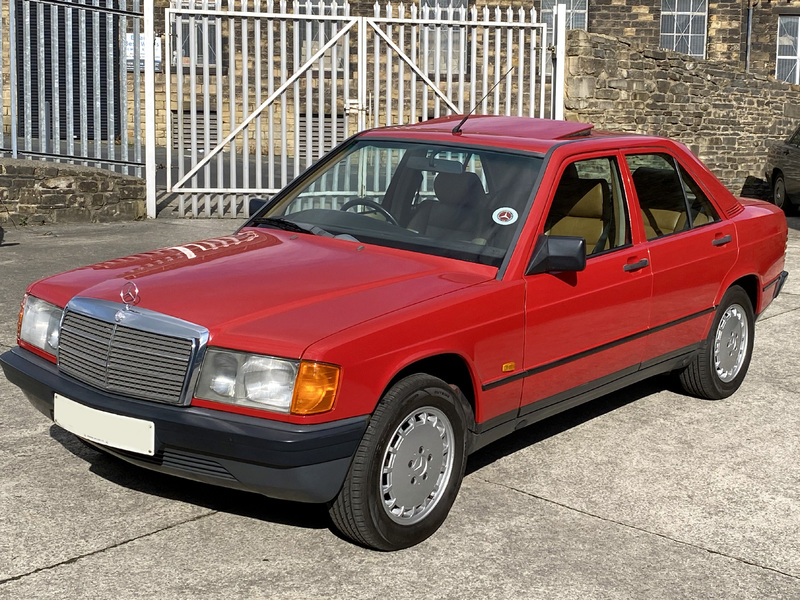 Extremely Attractive Basic Specification - No Electrics To Go Wrong - The Ultimate Apocalypse Car! 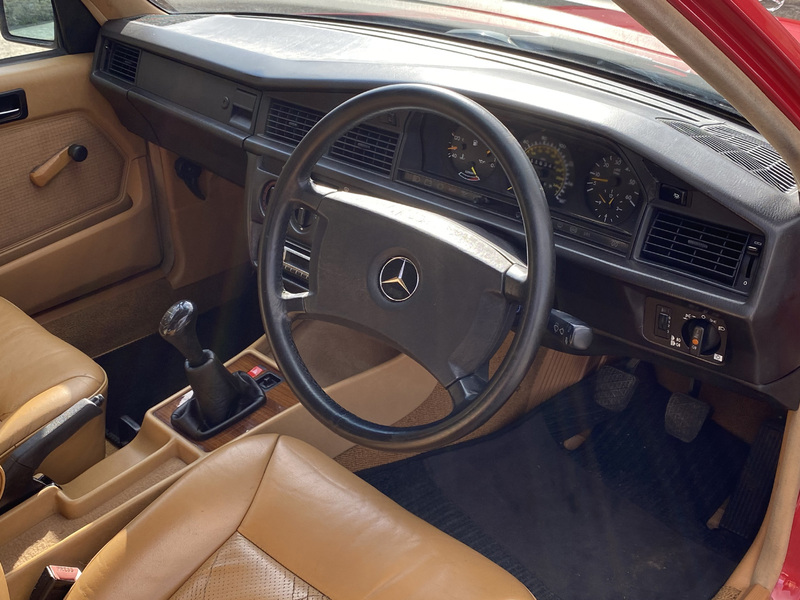 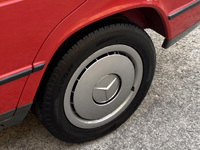 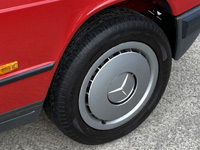 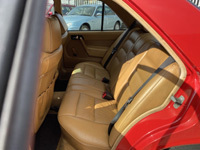 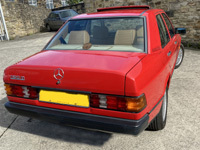 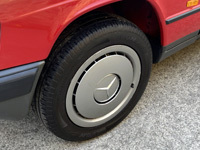 1992 Mercedes-Benz (W201) 190D 2.0 5sp. 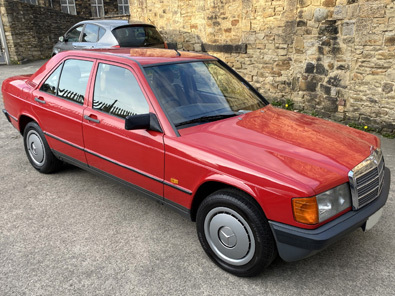 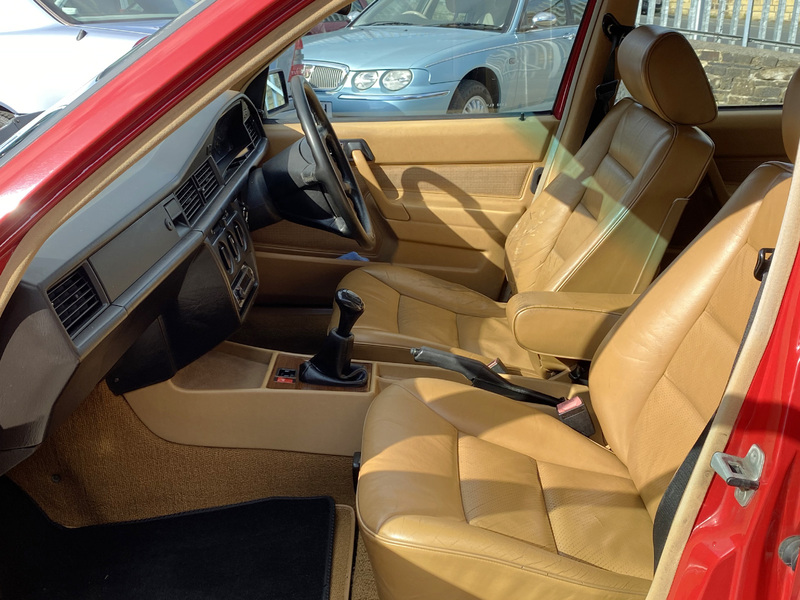 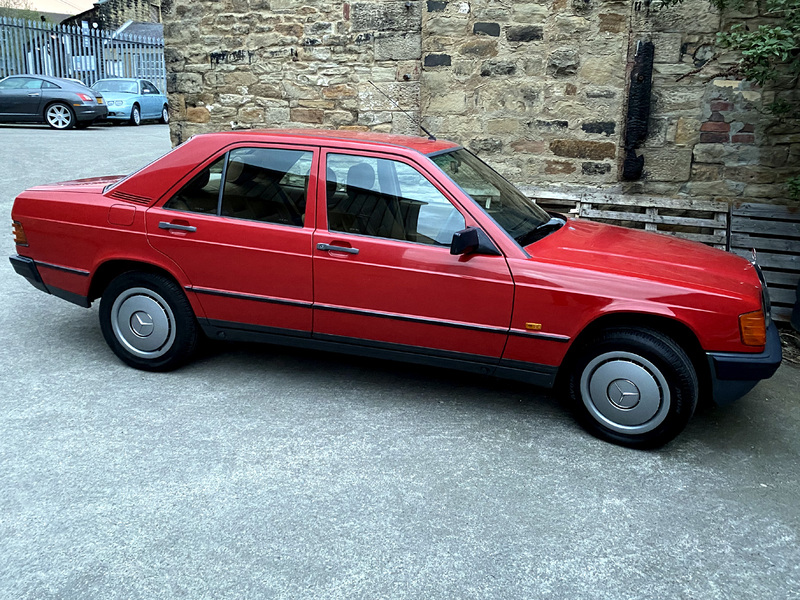 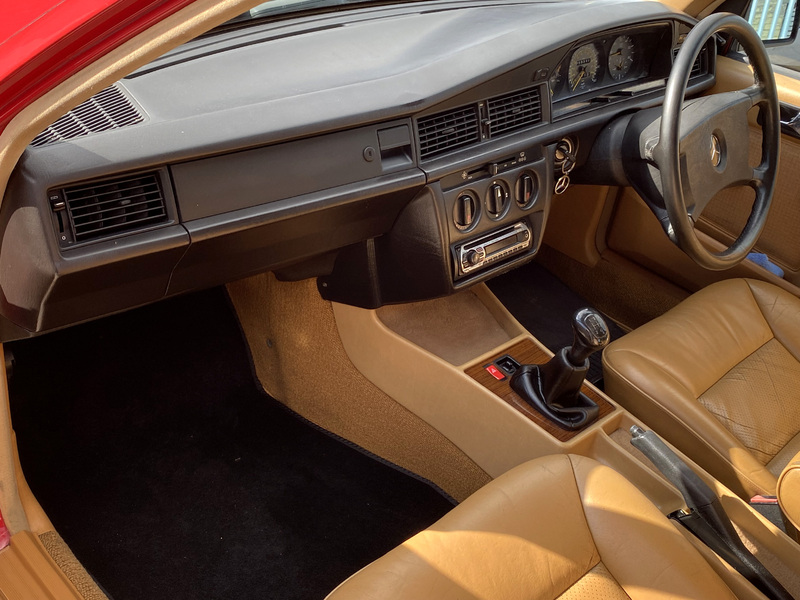 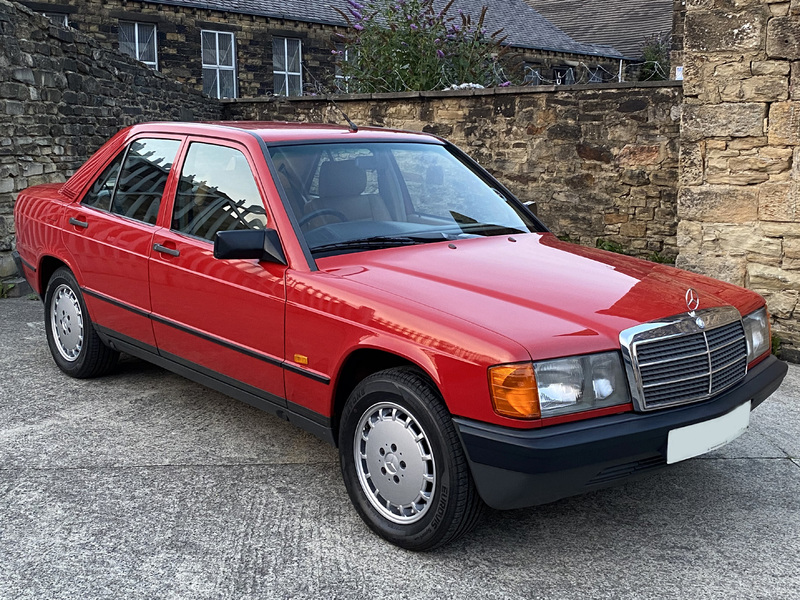 Manual Only 39,000 Miles - Superb History - Pristine Condition Gleaming 568 Signal Red - Rare Oxblood Check Interior Extremely Basic Specification - No Electrics - The Ultimate Apocalypse Car! 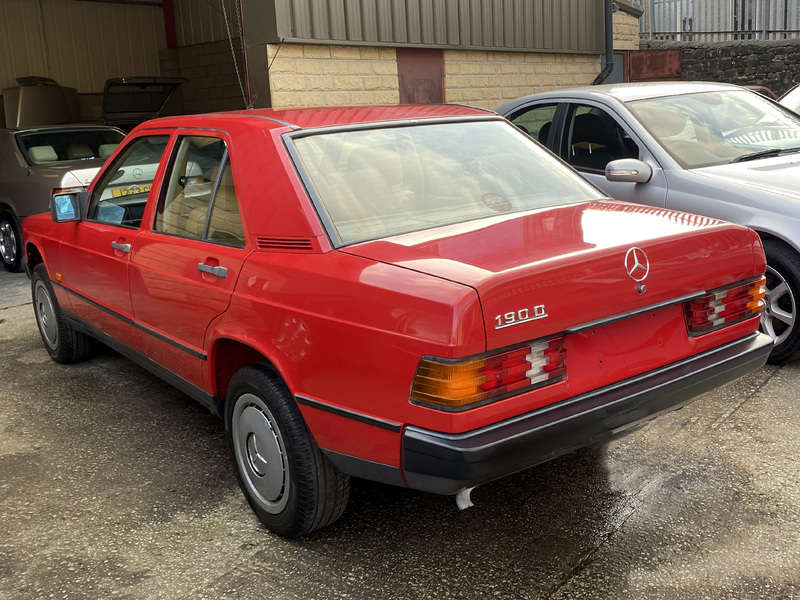 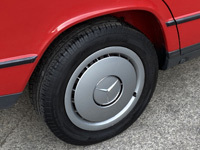 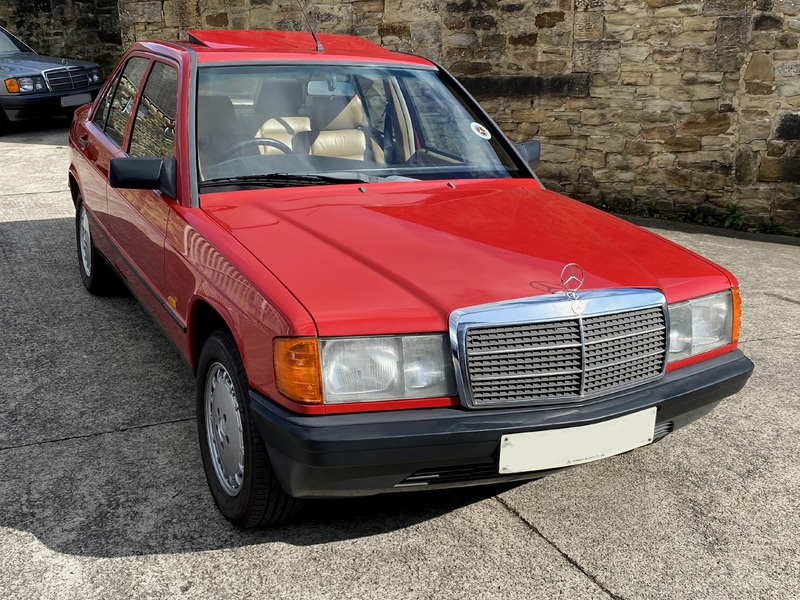 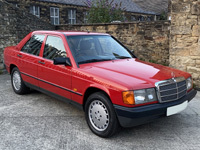 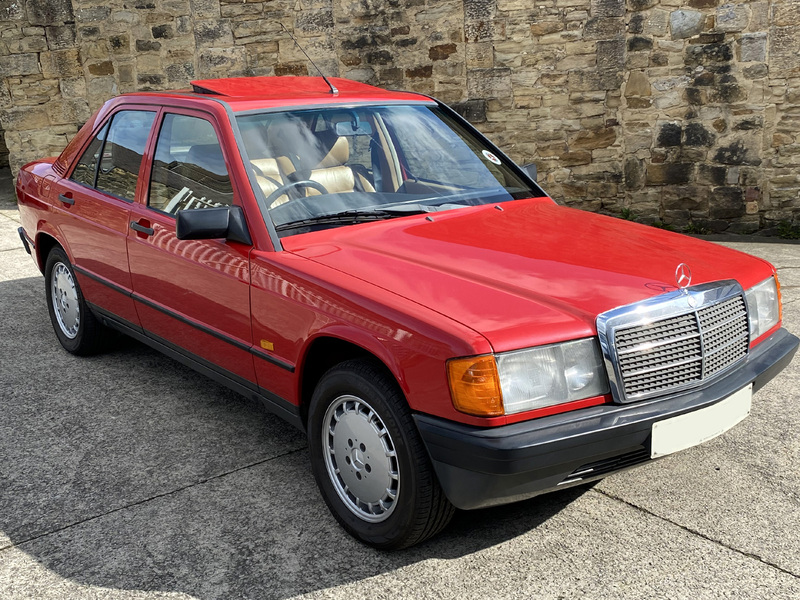 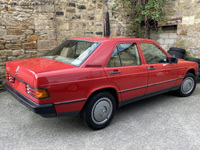 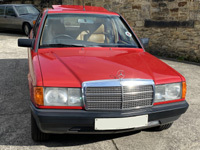 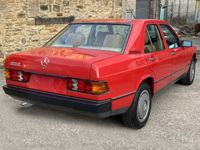 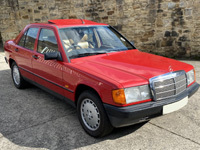 THE CAR Date of Registration: May 1992 VRM: J874 YHO MOT Expiry: May 2019 (No Advisories) (12 Months MOT on sale of vehicle) Number of Previous Keeper on V5: 3 Mileage: 39,350 Miles Service History: Mercedes Main Dealer/MB Specialist/Independents Last service: 39,352 Miles Keys: All Original Keys: Full Host of Keys Road Tax: Pre-March 2001 Flat Rate of £255/Year HPI Status: 100% Clear (report included) FEATURES Heated Mirrors Electric Adjusting Nearside Mirror Power Steering Load Adjustable Headlamps Period Blaupunkt Tape/Tuner Electric Aerial Front Fog Lamps Unused Spare Tyre Thats it! 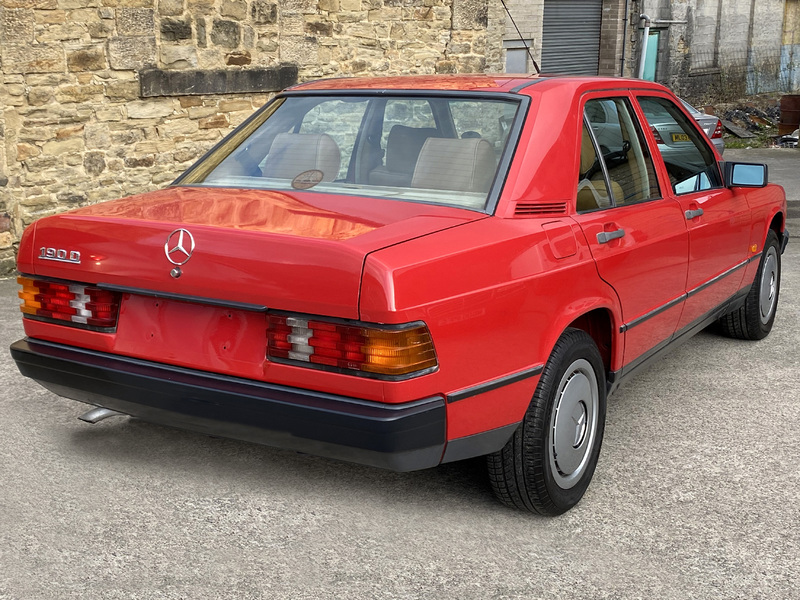 SUMMARY An absolutely stunning example, with a very rare, basic specification. 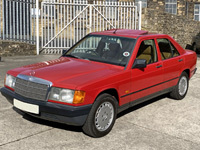 This is the ultimate "apocalypse car" as there's absolutely nothing to go wrong!. More details coming soon. 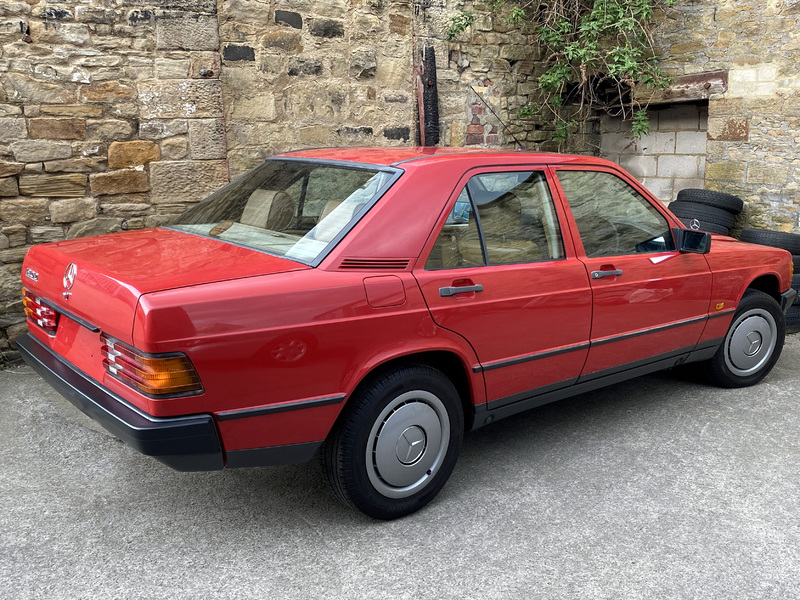 THE MTSV DIFFERENCE Unlike some, I don't just simply go out, buy any old car, give it a good clean, then advertise it for more than the purchase price, disregarding any issues the car may have in the hope the new buyer won't notice…I just couldn't do that. The cars I source are carefully selected and I work very hard so that when my cars leave me, I have the satisfaction of knowing they are as good as they possibly can be within the constraints I have. As such I have many repeat customers and new customers that have been recommended via word of mouth…the ultimate accolade for anyone in business.